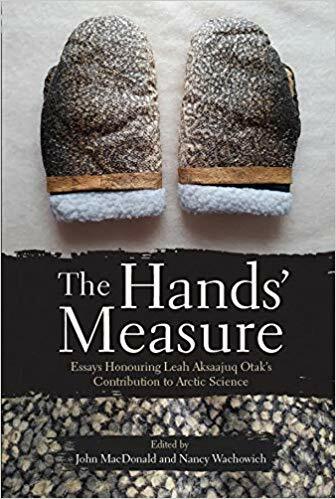 The late Leah Otak (1950-2014), an Inuit linguist and oral historian from Igloolik, Nunavut, Canada, has received a commemorative volume titled “The Hands’ Measure: Essays Honoring Leah Aksaajuq Otak’s Contribution to Arctic Science” (Nunavut Arctic College, 2018, eds. John MacDonald and Nancy Wachowich). Leah Aksaajuq Otak was born into the traditional Inuit land-based life typical of the Canadian Arctic in the 1950s. Living through the tumultuous years of transition and transformation following the move from the land into the present-day settlements Leah, through her work, was able to navigate this change and preserve histories from a way of Inuit life which is today long gone. 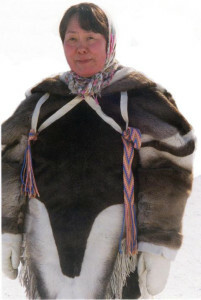 Working in range of positions throughout her professional career, authors of the new book stress that Leah found her calling working as an oral historian, translator and researcher with the long-running Igloolik Oral History Project – IOHP, one of most ambitious attempts to document and ultimately preserve and renew Inuit culture and knowledge in the Arctic. The IOHP has been running for over 30 years and contains over 600 interviews and related documentation. Working on the caribou skin – a clip from Leah’s online presentation of caribou skin preparation. Snowchange worked with Leah (and John MacDonald) during the research visit in 2002. 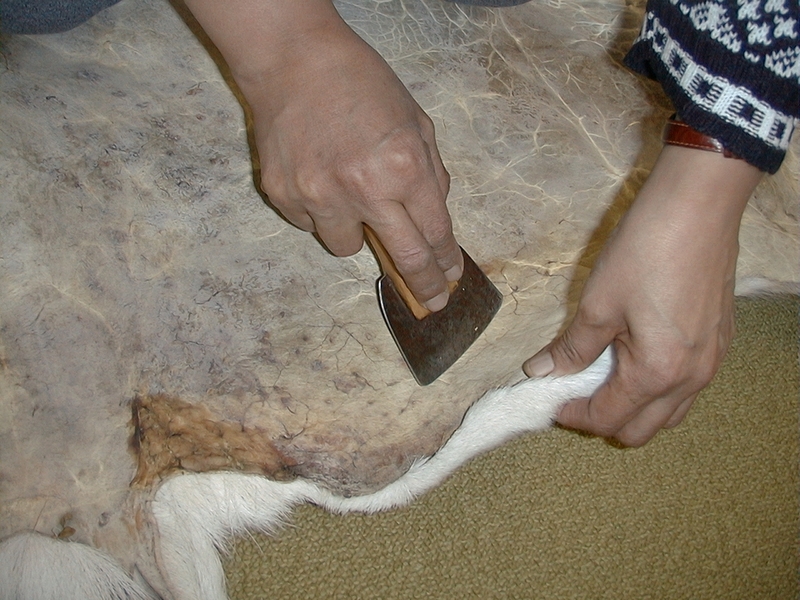 This led us to co-publish an interactive online exhibition, Iniqsimajuq, based on Leah’s knowledge of processing and preparing caribou skin for clothing. It was used between 2002 and 2005 in educational courses in Iceland, Finland and Russia to learn more about the depth, skills and detail of this particular aspect of Inuit culture from Igloolik. 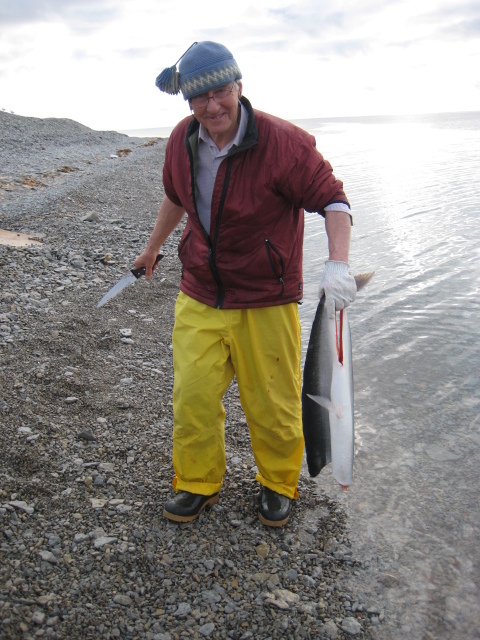 John MacDonald, coordinator of Igloolik Research Centre and co-editor of the new book, with a recently caught Arctic Char in Igloolik. Photo: John MacDonald. IOHP has since worked with Snowchange for over 16 years, influencing the way Snowchange oral history archives are organised, as well as individual publications and voices from the Inuit culture (see for example on community histories and comparative Indigenous starlore). Leah’s contributions, translation and cultural work have made these steps possible. 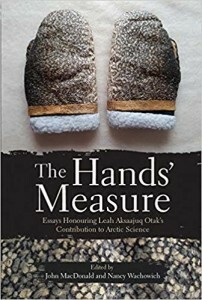 The Hands’ Measure itself is a book that is built from a range of essays touching on Leah’s work, Igloolik Inuit culture and oral histories. Contributors, many of them well-known in their fields in the Arctic sciences, have worked with Leah to deepen and widen their specific research interests in Inuit culture and history. The book is a rich reflection on how and why oral history work in Igloolik began. Foremost among project’s objectives was the Igloolik elders’ wish to preserve their rich and nuanced Inuktut dialect. Over time the project broadened out to cover a large range of topics including family and personal histories, local environmental and ecological knowledge, climate change, traditional navigation and astronomy, social organisation, naming practices, sewing and skin preparation, child rearing, traditional medicine, cosmology and spiritual life. Of special interest and links to Snowchange community work are, for example, John MacDonald’s review of how Igloolik Amitturmuit Inuit have been portrayed by outsiders and how narrative shifted to Inuit-led understanding of history through the IOHP work. Hugh Brody reflects on creating documentary films in Nunavut in the early 1970s. Claudio Aporta offers an important view of how trails, travels on land and the social distance between the life in the community and a range of ways “the Land” enters into the village networks though the spatial and temporal ordering and sharing networks, as well as oral narration of events on the Land. Susan Rowley for example reviews what could be called Amitturmuit geology – stones, rocks and geological phenomena giving endemic, cultural markers and identification examples – highlighting the depth and scale of Amitturmuit knowledge embedded in the oral histories. Being of utmost urgency is the essay by Jack Hicks who reflects on the cultural distance, debunking of stereotypes and immediacy of suicide both today and in the past amongst the Nunavut youth. This topic which is acute from Northern Ontario to Siberia and Sámi communities today in the Arctic is treated well. 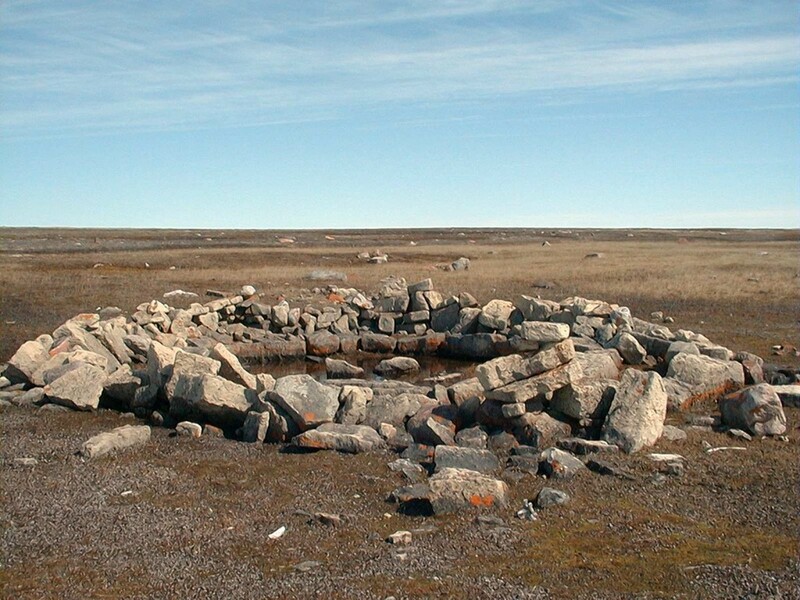 One of the conclusions Hicks discovers is that we should not underestimate the lingering troubles of the forced relocations of the Inuit and other Indigenous societies “from the Land” to governmental settlements. Whilst the people with primary experiences of the relocations are now Elders, the damage persists through transference and intergenerational traumas reflected in the loss of culture, identity, self-esteem and land skills – issues all of which are of utmost importance and very hard to address. The book cover. Mitts on the cover have been made by Sipuura Inuksuk, Leah’s mother, from lake trout skin. The Hands’ Measure includes also important reflections on how Leah was able to expand the oral history work to women’s realm, thus transforming the often male-dominated narratives and topics. Eva Aariak and George Quviq Qulaut bring direct Inuit reflections on both the IOHP work and their long association with Leah. The Hands’ Measure is a book to be recommended to all interested in Inuit culture, oral history and contemporary issues in Nunavut. It is a fitting and wonderful tribute to Leah Aksaajuq Otak’s passionate advocacy of her people’s language and culture to the end. Perhaps the only topic which is missing but penetrates much of the current narratives of the Inuit world is of course climate change. This shortcoming can be alleviated for example by exploring Snowchange – IOHP collaboration “Silaga Nauk – Where is my Weather?” available here as a PDF (starting on page 197).